Environmentalists who worked to stop the Sampur coal power project yesterday called on the Government to follow the global trend of renewable energy despite a statement by the Power Ministry assuring coal would remain an option in the future. Environmental Foundation (Guarantee) Ltd., pointed out that the coal project would have contradicted global strategies of renewable energy. They also applauded Government intentions to implement a LNG plant that would be cleaner and cost effective in order to meet growing energy requirements without compromising the country’s natural environments as well as affecting the health and livelihoods of its citizens. 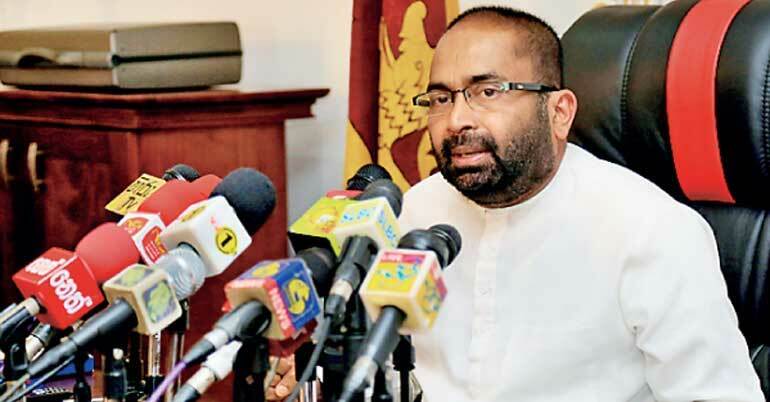 However, Power and Renewable Energy Minister Ranjith Siyambalapitiya told media on Thursday that the Government would follow instructions of an expert panel to decide the combination of energy resources in the future, which he insisted could include coal. “We have to decide how Sri Lanka can remain self-sufficient in power while supporting development,” he said. 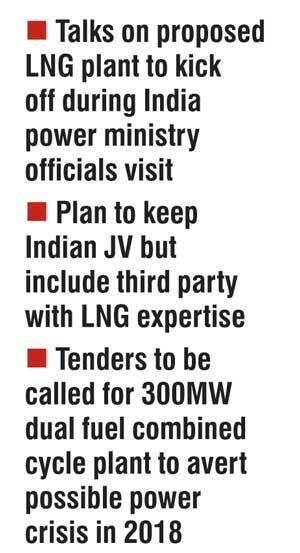 The LNG plant would be under discussion when officials of India’s power ministry arrive in Sri Lanka shortly as part of a joint working committee, confirmed Power and Renewable Energy Ministry Secretary Dr. B.M.S Batagoda. The Sri Lankan Government is seeking to build the new plant with the same company as the coal venture but could include a third firm with LNG expertise. The new plant is expected to be completed by 2020. Reports have mentioned India’s Petronet LNG, as a possible third member of a joint venture power plant to replace the Sampur coal plant. Petronet LNG is a firm backed by the Gas Authority of India, Oil and Natural Gas Corporation, Indian Oil Corporation and Barat Petroleum Corporation Limited. The Sri Lankan Government is also expected to call tenders to build a 300MW dual fuel combined cycle plant shortly to avert a possible power crisis in 2018. The Public Utilities Commission of Sri Lanka (PUCSL), which is the regulatory arm of the State-run Ceylon Electricity Board (CEB), has said the country’s longer term generation plan, covering the post-2020 period, would have to be finalised by April 2017. The Sampur coal power plant was proposed as a joint venture between the CEB and National Thermal Power Corporation Ltd. (NTPC) of India. Subsequently, a company was formed between CEB and NTPC named Trincomalee Power Company in equal partnership to produce and sell power generated by pulverised coal fired technology to the CEB. The firm was to set up two coal-based power plants with a total capacity of 500MW covering 505 acres of land in Sampur. Elaborating on the legal aspect of this landmark case EFL Legal Consultant Wardani Karunaratne said that the Environmental Impact Assessment (EIA) report of the Sampur coal power plant prepared by Mantec Consultants Ltd. was found to misrepresent and underplay the impacts of the coal power plant on the ecology of the region, failing to capture sensitive areas of impact. EFL Member Parakrama Jayasinghe said the country does not have an up-to-date set of standards on emissions even to properly evaluate this type of projects, which needs to be addressed by the relevant Government authorities immediately. He noted that winning this landmark case was a great opportunity for the general public to voice their opinion against such development projects as well as being a stepping stone towards a sustainable future. “They say coal is cheap, but we, up-to-date, do not know at what price we buy. Although it is said that the country is heading for an energy crisis by 2018, Sampur alone was not the solution. Sri Lanka has a lot of indigenous energy sources which are environmentally friendly and cost effective, which should be the way forward,” he added.